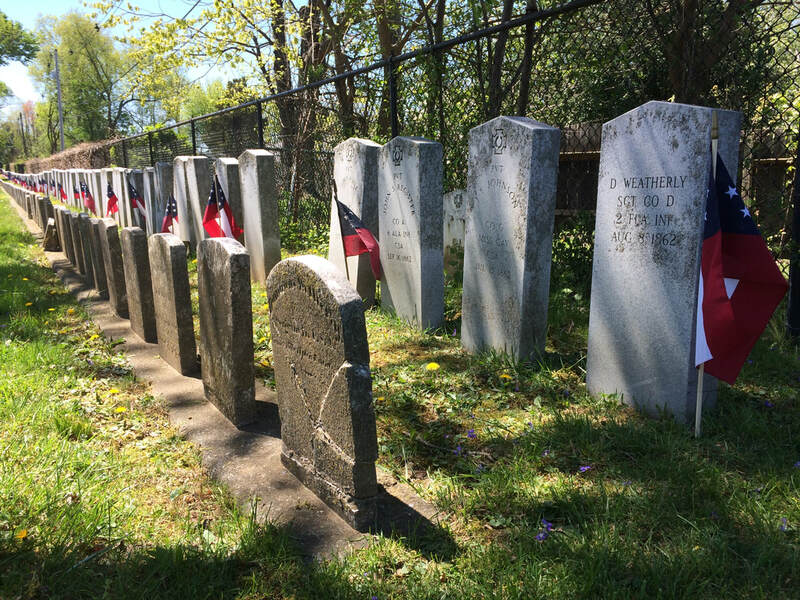 ​Frederick, Maryland's historic "garden cemetery" contains the final resting spots of over 4,000 men and women who bravely served in American military conflicts. Welcome to this auxiliary website for Mount Olivet Cemetery in Frederick, Maryland. Considered one of the most distinguished and beautiful burial grounds in the country, Mount Olivet serves home to thousands of patriots who bravely served their country under the same flag so proudly hailed in 1814 by fellow cemetery resident and Frederick native, Francis Scott Key. Of those reposing in Mount Olivet, some veterans died in military combat, while others succumbed to wounds and sickness acquired in the line of duty. Thankfully, the vast majority of armed forces personnel came back home from the battlefields and lived out full lives dedicated to family and professional pursuits. Most returned with a renewed understanding that "freedom is not necessarily free," as the greatest sacrifices have been made by our soldiers and sailors throughout our country's vast military history. This website can best be described as "a work in progress," and will continually be added to. We humbly ask for the assistance of descendants, historians and friends to provide us with photographs and/or additional information of note. We also want to link to other sources of information regarding our vets, and the training and battles they participated in. As opposed to a finished publication like a book, we will have the opportunity to add supplemental images and information at will, while also having the ability to correct errors. We hope this site provides an educational and informational portal, one that sheds light on why Frederick, Maryland has always been linked to patriotism and the American flag. We have a large challenge ahead, but are excited to provide this site on behalf of the Mount Olivet Preservation and Enhancement Fund. Our starting point will involve World War I as we are currently within the centennial commemoration at the launch time of this site in November, 2017. "...It is a proud privilege to be a soldier - a good soldier...[with] discipline, self-respect, pride in his unit and his country, a high sense of duty and obligation to comrades and to his superiors, and a self confidence born of demonstrated ability." Visitors and tourists from all over the country and world have visited Mount Olivet. A major draw is the grave monument and memorial to Francis Scott Key. Two such visitors were President William H. Taft, our 27th president, and Alexander Graham Bell, inventor of the telephone. ​Another popular gravesite is that of a patriotic civilian named Barbara Fritchie. The author John Greenleaf Whittier recounts that nonagenarian Fritchie uprated Confederate Gen. Stonewall Jackson and his troops in September, 1862 by exclaiming: "'Shoot if you must this old gray head, but spare your country's flag,' she said." Speaking of Confederate soldiers, Mount Olivet contains one of the largest collections of grave sites associated with American Civil War Southern soldiers within a private, non-military burial ground. 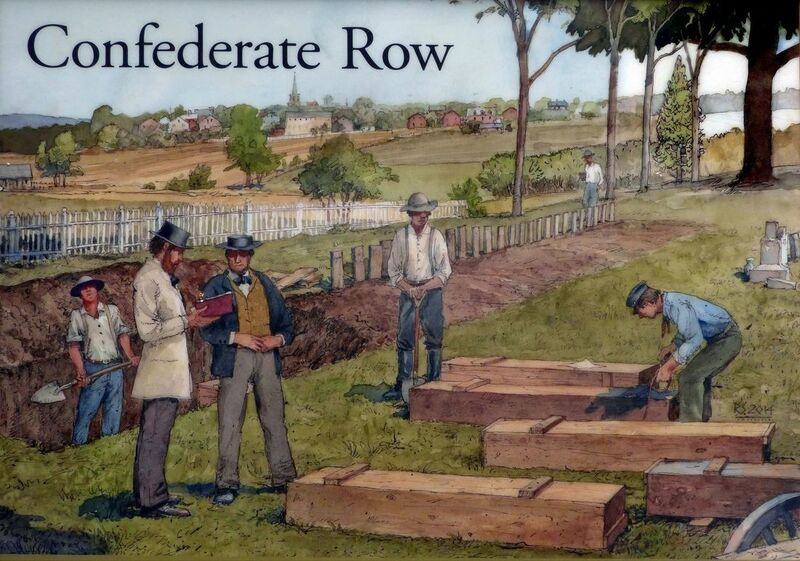 In the cemetery's iconic "Confederate Row," one will find men representing every state of the Confederacy, not to mention a few from our home state of Maryland. There are also graves of several unknown soldiers. The mission of the Mount Olivet Cemetery Preservation and Enhancement Fund (an accredited 501 (c) (3) public charity) is to assist in the conservation of the natural beauty and historic integrity of Mount Olivet Cemetery and to increase public knowledge and appreciation of its unique cultural, historic, and natural resources through charitable and educational programs. To accomplish these goals, funds are raised from both public and private sources. Provide veteran photographs (to scan) and copies of pertinent documents or artifacts. These will enhance our veteran pages, as well as our cemetery files for not only the researchers of today, but those of the future. have taken a toll on monuments and markers. Cleaning and reparation can remedy sinking or leaning stones. Broken marble and granite can be fixed. a veteran's gravesite. Other opportunities include special veteran endowments and tree planting opportunities in the name of a veteran or group of soldiers.